The House of Representatives is seriously discussing extending the H-2B returning worker exemption. 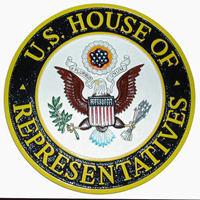 Republican and Democratic House Members are discussing the H-2B program (and also apparently they are discussing other legislation as well that involves foreign workers in other programs). As Congress gets serious about the H-2B issue, we need to remember that our Representatives and Senators NEED CONSTANT EDUCATION about the importance of the H-2B program and the fact that small and seasonal businesses need their workers NOW if they are to survive the coming summer season. Horse racing is one of the industries impacted the most by legislation relating to immigrant workers. It is very important that you take this opportunity to make your voice heard. Each of us needs to call our Representatives and Senators TODAY and keep calling TOMORROW and EVERY DAY NEXT WEEK about the H-2B crisis. The calls, faxes, articles and all other forms of communication are working, but it is important to keep them up. Time is running out, and Congress knows this. In another week or two Congress will be in recess yet again, and an extension to the H-2B visa program needs to pass before they return home. The number to every office in Congress is (202) 225-3121. Congress has yet to pass the H-2B Save Small Business bill. Without the Act, small and seasonal businesses that cannot find enough US workers willing to fill seasonal jobs ARE SUFFERING. Many face looming financial ruin. Ensures that foreign workers can fill ONLY THOSE JOBS THAT REMAIN UNFILLED BY AMERICANS. It is very important that you TELL YOUR STORY to your Representatives and Senators. Get across the urgency that you feel, and that your year-round full-time American staff feels.